Have you ever gone to book an award flight and found you are just shy of the miles needed to book the flight? You know you’ll have enough miles soon, but often Delta Award sales won’t last long enough for you to earn the extra miles. Well, there is a unique benefit for Delta AMEX cardholders that helps alleviate this concern. With the Fly Now, Earn Later perk you can actually borrow Delta miles to use now and you can earn the miles back later. Don’t Miss Out on Delta Deals Just Because You Don’t Have the Miles Right Now! 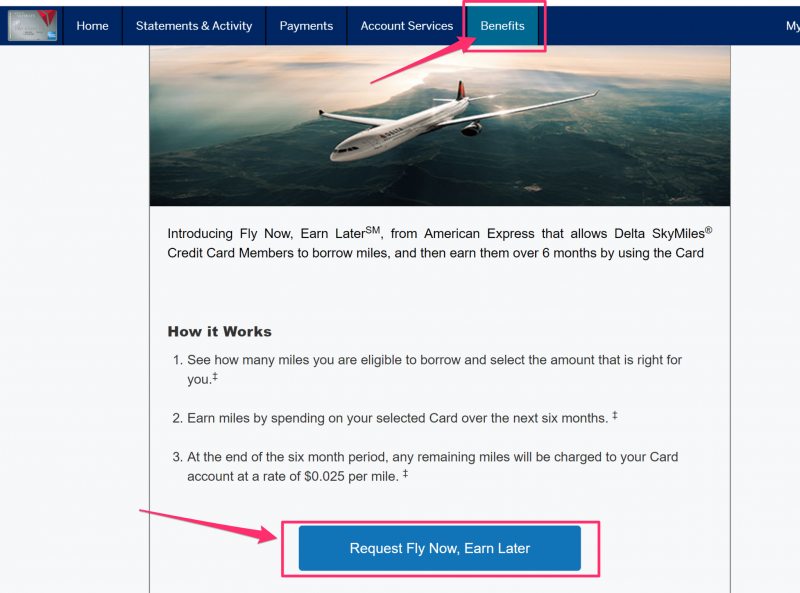 How Do You Get The “Fly Now, Earn Later” Delta AMEX Perk? This perk is for cardholders (in good standing) of any of the American Express Delta cards. This benefit is targeted, but it seems that as long as you’re paying your card in time, you’re likely to eventually qualify. New cardholders won’t necessarily have access to this benefit immediately upon opening an account. You can access this benefit by logging into your AMEX account, clicking on the benefits tab at the top, and then selecting “Request Fly Now, Earn Later” as shown in the image above. American Express doesn’t provide specific criteria on what it takes to qualify for this benefit, but they do provide a few eligibility factors they consider, such as card activity and length of time the account has been open. The account must be in good standing to qualify. American Express provides this benefit as an incentive to spend more on your AMEX Delta cards. So Delta miles earned by flying, won’t count toward paying back the borrowed miles. And don’t expect to borrow miles immediately and earn them back with your welcome bonus (in fact an AMEX Representative laughed at me when I even suggested such a tactic). How Does Borrowing Miles Work? The maximum number of miles you can borrow is unique to each account. It is based on card activity and how long you have been a Delta AMEX cardholder. 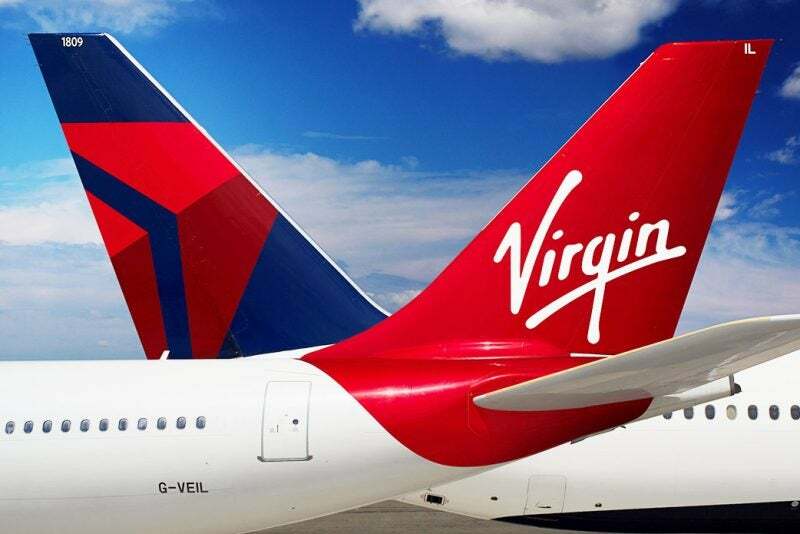 Some folks have reported being able to borrow as many as 150,000 Delta miles, while others have only been approved to borrow as little as 5,000 miles. Whenever you wish to borrow Delta miles they will be credited to your account within 72 hours. And they’ll be ready to use just like any other Delta mile. How Do You Pay Back the Miles? After the miles have been borrowed, you will have 6 months to earn those miles using your card. Any miles you earn from using your card will count toward paying back the borrowed amount automatically. 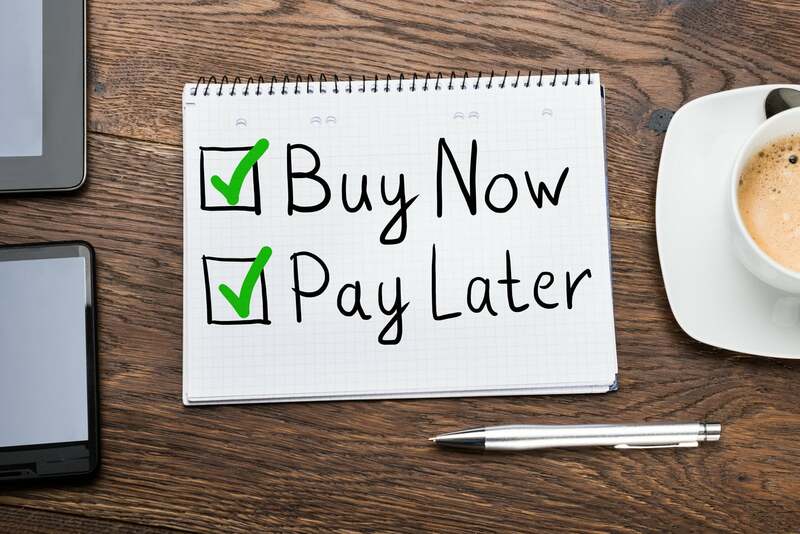 It is important to note that only the points earned through card spending will go toward paying back the loan. American Express also does not allow for more than 1 outstanding Delta miles loan at a time. So you must finish earning back your borrowed miles before you can borrow more. If you have not earned back the miles within 6 months, then you will be charged for the remaining miles at a cost of 2.5 cents per mile. This is not a great deal, but it is still cheaper than Delta charges for buying miles (Delta normally charges 3.5 cents a mile). So it might make more sense than buying miles if you were otherwise considering that. Do Any Restrictions Apply to the Borrowed Miles? The borrowed miles will be transferred to your Delta SkyMiles account as bonus miles. They do not count as MQMs toward elite status, but they will otherwise be treated as normal miles. The Borrowed Miles Are Treated Like Any Other Delta Mile. They Can Even Be Used to Book to Partner Awards With Other Airlines! You can do anything you want to them as if you had otherwise earned the miles from your card. But, you can not return the miles after you have borrowed them. Once you have been approved for this perk, I think it is a nice benefit. And it can be a useful if you just short of an award. Have you ever used this perk? If so, please share your experience in the comments below. To stay up to date on the latest miles & points deals, subscribe to our newsletter. A couple weeks ago, I checked this: I was approved for 5,000, which is pretty useless. I needed 11,000 and had to transfer Amex MR and pay taxes.